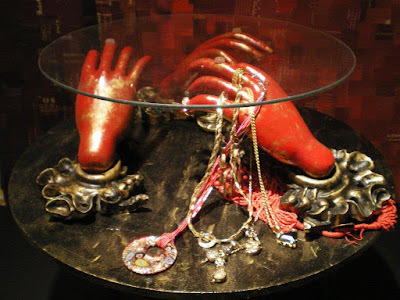 Sutter Creek Gallery's Member Show for October: "Upcycling/Recycling"
Since this show is in October, there will be seasonable images as well. The colors of fall will be represented by autumn leaves and local scenes. 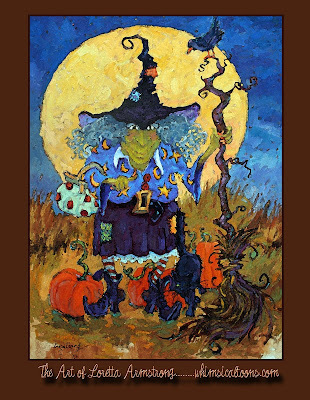 Halloween witches and pumpkins and black cats will also be in evidence to round out the show. A reception will be held on Saturday, October 3, from 4 to 7 p.m., in conjunction with the region’s First Saturday Art Trek. Jeannie Vodden will be the featured artist at Gallery 10 during October. Her paintings will hang at the gallery, 15 Eureka St., Sutter Creek, the whole month. 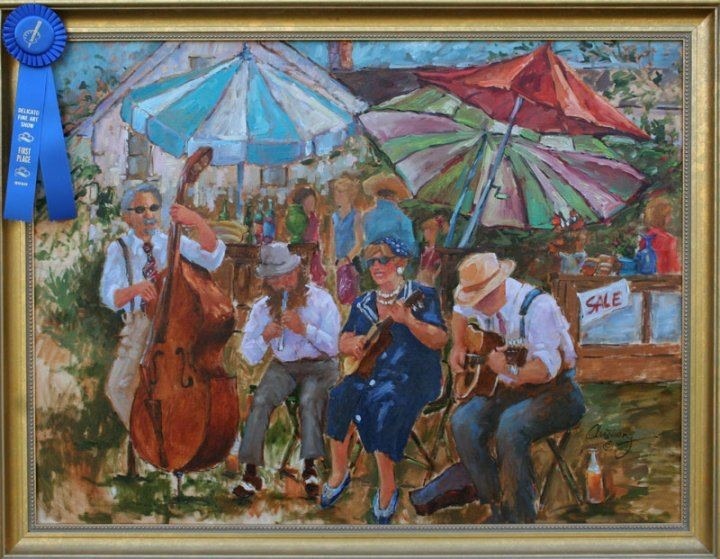 A reception to honor Jeannie will be held on Saturday, Oct. 3, 2-5 P.M. and everyone is invited to attend, to meet Jeannie, to munch and sip, and to see the wonderful qualities of Jeannie’s paintings. 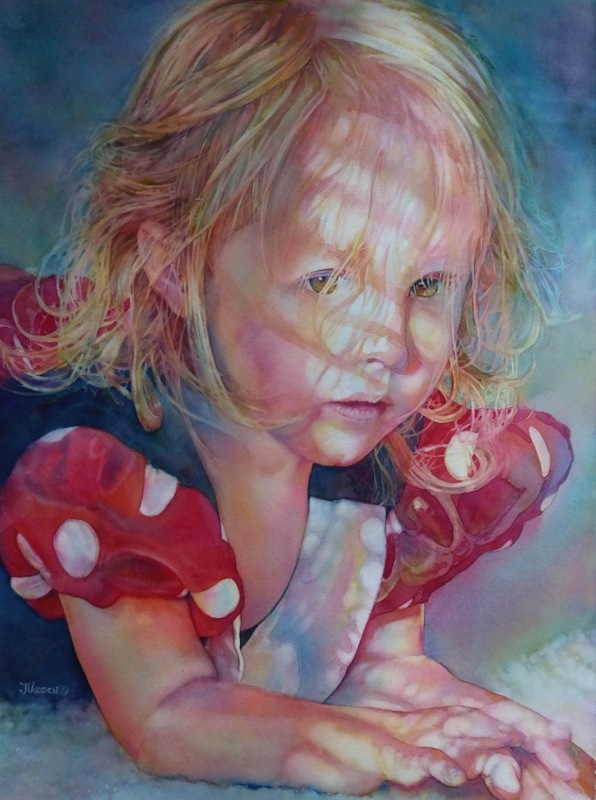 Jeannie Vodden is most versatile in watercolor. She often starts with just three colors, and expands her palette only minimally as she develops a painting. Jeannie paints portraits, still life, florals, landscapes and fantasy. She loves to paint the complex textures, forms and patterns found in nature. “I have been painting and drawing faces and portraits since I was very young. From the first it was exciting, even surprising, to see a likeness appearing on the paper before me.” She loves to bring a touch of fantasy into a painting. 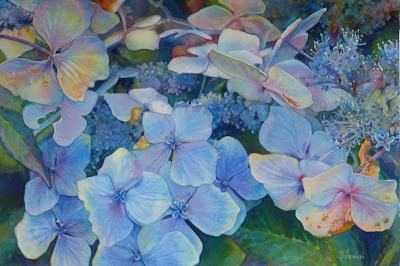 Her glazing technique with color is well worth examining as you look at her work. Be sure to stop at Gallery 10 on Oct. 3, or any time during the month, to see these wonderful works of art. Jeannie Vodden lives in Jackson and loves to share her technique through demonstrations, workshops, and classes. Jeannie Vodden's interest in the variety of textures and patterns found in both natural and man-made objects is the starting point for most of her paintings. She adds natural light, sometimes a figure, occasionally a dash of fantasy, and pulls it all together with a limited palette. Her preference for the complex play of form and light is balanced by her use of a very simple palette. Starting with only three colors, and seldom using more than six, she glazes many transparent layers. Each layer modifies the last, changing the color and adding a multi-leveled glow. Though the process takes some patience, practice and understanding, the visual effects are revealed in an unusual feeling of depth of color. The results are stunning and unique. Jeannie is a popular instructor of watercolor. She has taught workshops throughout California and in Wyoming and Washington State for 20 years. She enjoys demonstrating her watercolor techniques to art and community organizations and finds the challenge of judging art competitions rewarding and inspiring. She has shown her work in galleries and businesses in Sacramento, Lodi and Stockton and throughout California. · Acceptance into the prestigious 2000 and 2002 Crocker Kingsley competition at the Crocker Art Museum in Sacramento, Ca. · The State of California has purchased two of her paintings for its archives. For years she demonstrated in the “California Works” Fine Art Show at the California State Fair, sharing her work and talking to visitors of the well-regarded fine art venue. 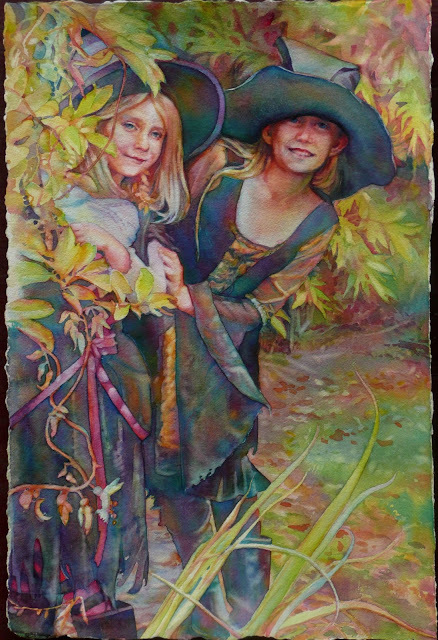 In the fall she opens her home studio to the public for the Amador County Art Studio Tours. Jeannie designs a theme fair window at the Amador County Fair in Plymouth, CA each year for the Amador Stars, the local Cancer support organization. For 2010 and 2011 and 2014 wine release she has designed unique and beautiful fine art wine labels for Young’s Vineyard in the Shenandoah Valley, California. In 2015 Jeannie’s work was published in both Pratique des Art Magazine in France and Artist Palette Magazine in Australia. Don't miss Suzanne Bell at Petroglyphe Gallery next weekend!!! Beginners welcome, space still available. Join us for ENCAUSTIC PAINTING: BASICS & BEYOND WORKSHOP with artist Suzanne Bell! This is a one day encaustic workshop that focuses on the safety, studio set up, history of encaustics, and several encaustic painting techniques. Workshop participants will have the opportunity to learn how to fuse with iron, carve to define shapes, discover layers of color by scraping, and use tape for line and design. Students will also explore the use of various encaustic tools such as blow torches, heat guns, the stylus, oil sticks, and many more unique gadgets! Several encaustic masterpieces will be created by each participant by the end of the workshop. Join us for this unique and fun class! Material fee of $45 due to instructor the day of the workshop. No Materials List – All supplies are provided by the instructor and included in the registration cost. Please visit www.gallerypetroglyphe.com/event/workshops for more info and to download the registration form or call 209-286-1387. Registration is limited. Join us for ENCAUSTIC PAINTING: TEXTURE AND COLLAGE with artist Suzanne Bell! This is a one day encaustic workshop. Take your art to the next level. We’ll focus on the more advanced techniques available in the encaustic art world, such as, grout, impressions, stamping, oil staining, antiquing, image transfers, embedded elements, water designs, fun papers, charcoal, graphite, metallic powders, and much more! Students will complete several encaustic masterpieces. Come to have fun, dress for mess. Must have taken a Basic or Introductory Encaustics class prior to this class. Material fee of $45 due to instructor the day of the workshop. Interested in other workshops at Petroglyphe Gallery? Check out the remaining 2015 workshops below! Click HERE to read our workshop policies and to download the registration form. Visit our website for more about Petroglyphe Gallery,www.gallerypetroglyphe.com. Our consultants are available to assist you with any questions or further information. Contact us at info@gallerypetroglyphe.com, or (209) 286-1387. 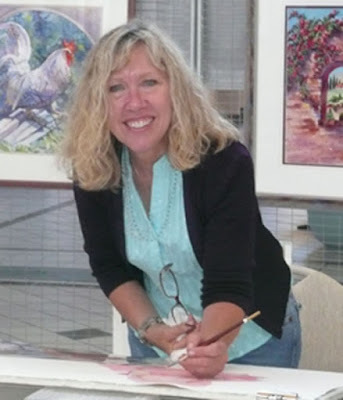 Loretta Armstrong will be the demonstrator for the Wednesday, October 14 meeting of the Amador County Artists Association (ACAA), painting a fall scene. All Armstrong ever wanted to be was an artist. She has tried many different styles over the years, finally developing one of her own. One of her primary influences was Anita Wolff. Not only was Wolf her teacher, they became lifelong friends, traveling together to France in the 1980s to study the Impressionists. A later influence from the ‘90s was New Orleans artist James Michalopoulos, known for his vivid colors, skewed perspective and freedom from convention. His work forever changed how Armstrong viewed art, making her realize that this style could be utilized to depict the beautiful Amador County buildings. Thereafter she decided to follow her heart and paint the way she wanted to. 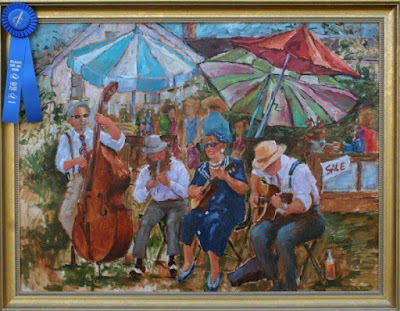 Finding inspiration in local sites, many of Armstrong’s paintings depict homes, schools, churches and vistas familiar to local residents, some rendered in her whimsical style and others in a more traditional manner. Her paintings have a vitality resulting from her vibrant color choices and a sense of movement. The spooky houses and harvest scenes are especially appealing at this time of year. 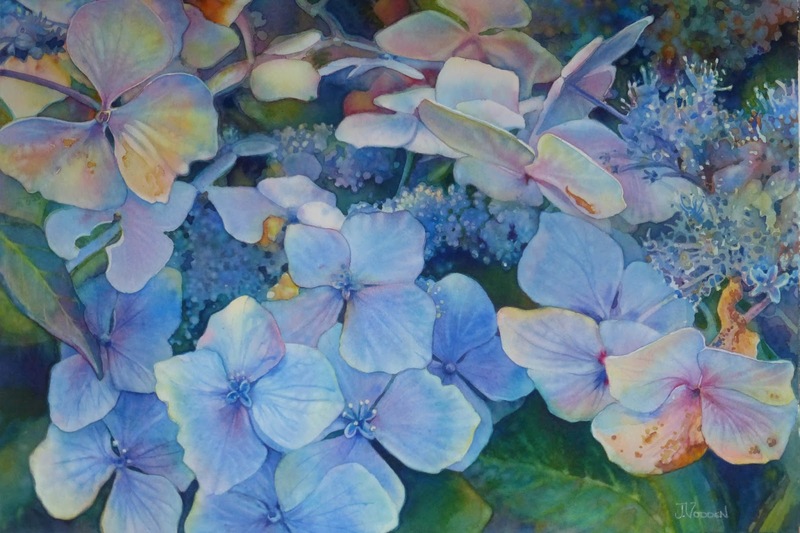 Her work is featured in numerous venues throughout Amador County including the Sutter Creek Gallery. The ACAA meets each month on the second Wednesday at 7PM at the Senior Center, 229 New York Ranch Road, Jackson. The public is invited and new members are encouraged. 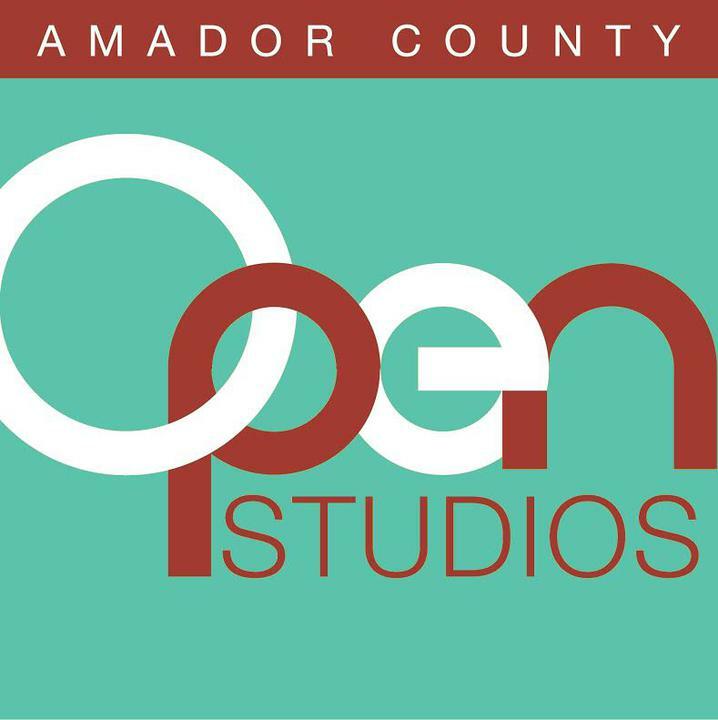 For more information about the ACAA, visit amadorcountyartists.org. Nicholas Collins Workshop September 12-13th. Deadline for registration is Monday, September 7th. LINOLEUM CUT: STRATEGY & TECHNIQUE with Nicholas Collins. From raw, brutal expressionism to delicate, highly detailed rendering, the linocut is truly an exciting and vital medium. We will explore examples of linocut prints from Matisse to artistic movements in Russia, Germany, Britain and Mexico. We will discuss approaches to layout and design to give you the freedom to best express your images. You can focus your approach on directly transferred images or steer away from the drawing with a more sculptural “cut & proof” repetition technique. You will develop confidence with cutting tools and learn hand printing techniques. This is an excellent, inexpensive and non-toxic art form to take with you to your home studio. Instructor, Nicholas Collins studied sculpture at UCSB, and printmaking at College of the Redwoods. He trained in etching and linocut at KALA in Berkeley where he was an artist in residence for two years. His work can be seen at Northcoast Artists Gallery in Fort Bragg, Prentice Gallery in Mendocino and Collector Art Shop in Berkeley. parts you want to be inked! The result yields a linocut that can reproduce the same image over and over again. While linoleum was first invented in the 1860s, it wasn't used as a medium for printing until the early 1900s in Germany, where it was first used for making patterns on wallpaper! Artists ranging from Pablo Picasso to Henri Matisse have made linocuts, and today it is considered a respected art form. Linocuts are also very popular in teaching children in schools about the rewarding art of printmaking. Visit our website or see the link below under Workshops to download the registration form, www.gallerypetroglyphe.com/workshops. Call the gallery (209) 286-1387, or email, info@gallerypetroglyphe.com to complete your registration. Visit our website www.gallerypetroglyphe.com, to read about additional events. Check our website for updates on our exciting workshops! Visit our website for more about Petroglyphe Gallery or to join the gallery mailing list,www.gallerypetroglyphe.com.